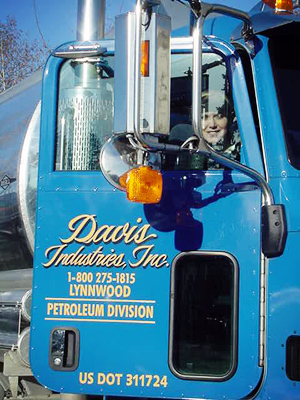 Davis Industries Inc. is an independently owned and operated company located in Lynnwood, WA and has been serving the Puget Sound region since 1988. Since then we have earned a reputation for our reliability, excellent service, and dedication to our customers. At Davis Industries, Inc. we would like our customers to know that we are here to provide the best customer service possible. Davis Industries, Inc. company history actually goes back to early 1950’s when we were a contractor building mostly gas stations. Since then we have changed business gears and now have three different types of businesses. They are retail, wholesale fuel both branded and unbranded, and common carrier service. In 1988 we first became involved in the fuel industry with the purchase of an Arco distributorship in the northern Seattle area. In 1990 we became a branded Exxon distributor. In January of 2009 Exxon/Mobil did a market withdrawal from Western Washington giving us the opportunity to find another brand. Since January of 2009 we become a branded Valero distributor and a branded ConocoPhillips distributor.